Besides writing poetry this week, I found time for another one of my loves, baking. Creative distractors are great remedies for taking my mind off minor medical issues, like an Eustachian tube blockage and a skin infection. Life intersects living at times that seem to be inconvenient but that's life! The word believe is my one word reminder to stay focused on the positives. 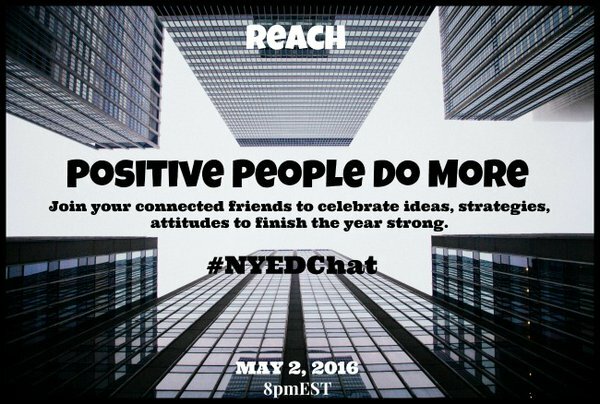 If you have time, join #NYEDChat on Twitter channels, Monday night at 8:00 pm EST for a "positivity" convo that will sure to engage you. 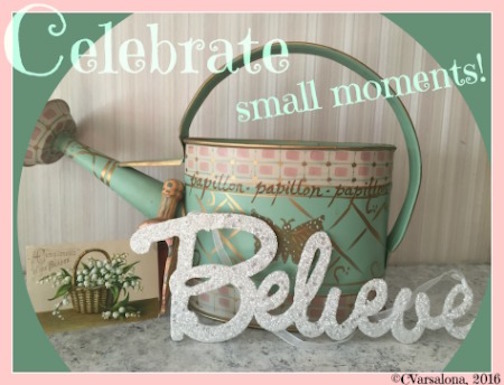 Afterall, we need to celebrate the small moments in life. 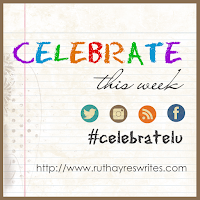 Now please Celebrate This Week with Ruth Ayres at her blog site here. She opens up her space to a blogging community that is a welcoming one and don't forget my invitation to attend the "Positive People Do More" conversation on May 2, 2016. 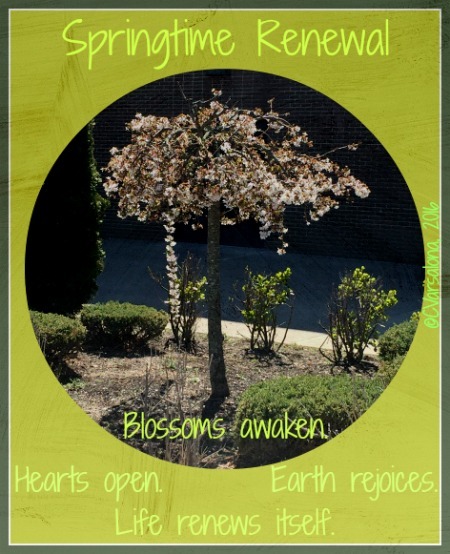 While our spring weather seems to be out of touch with Long Island's spring frame of mind, the time is right for an end of National Month Poetry celebration of springtime joy. I wanted to share my beautiful Willow Tree Hakura as a digital inspiration. I designed the following image poem in response to Charles Waters' post on the creation of a "new poetry form," the Chisana uta, which means "tiny poem" in Japanese. 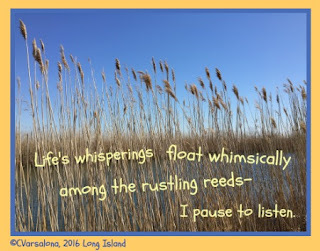 I like the term tiny poem that is a 3 line poem using the 7-7-5 syllable form. You can access Charles' post on the Chisana uta/tanshi form here. Below is the poem he created. I loved Charles' tiny poem so much that I asked him if I could place it in my upcoming Spring's Seeds Gallery. 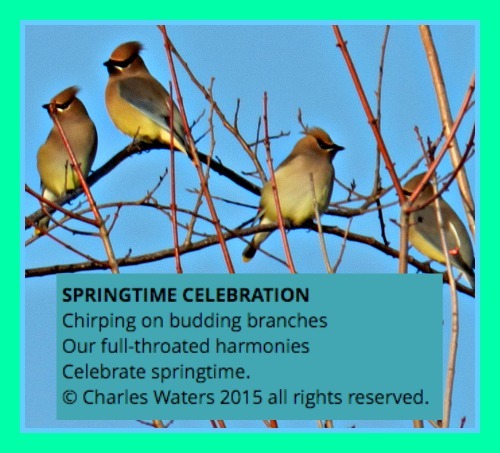 To honor Charles' words, I was inspired to transform his original poem into an image poem. 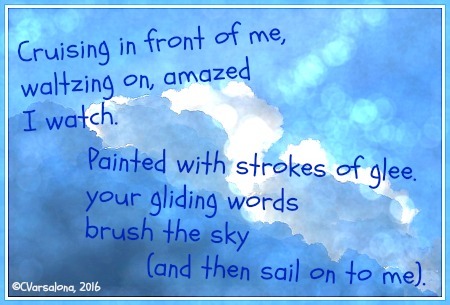 I am awaiting a thought from the poet on whether the composition I created fits his poetic style. Leia Cator offered a photograph for the Photo Corner of the upcoming gallery and Mark Weston offered a digital quote image. Other writers have sent in their offerings but they are not at #SpringsSeeds yet. 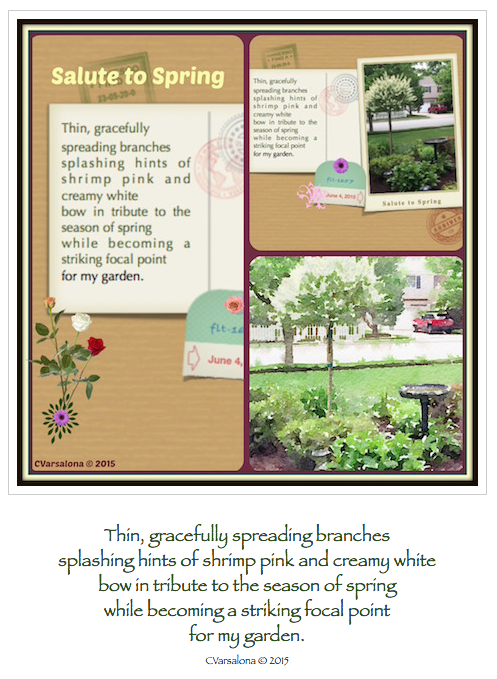 In tribute to spring, I bid April good by with a little ditty tune that I created with the app, Ditty. My offering for Poetry Friday is late since it is now moving into Saturday but it will still be placed at the Poetry Round-Up being hosted by poet, Buffy Silverman. 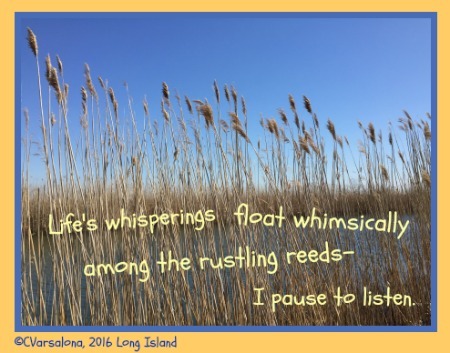 Buffy, our hostess, has beautiful close-up photos of a toad with an accompanying poem, Toad's Swampy Serenade, at Buffy's Blog. 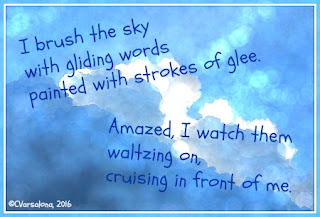 Please visit Poetry Friday and be amazed by Buffy's work. While gearing up for #NYEDChat's conversation on Positive People Do More, my writing colleague Kevin Hodgson, sent me poem based on the invitation to the chat that I tweeted. I then, retweeted Kevin's text to honor the work fellow poets and writers are engaging in during National Poetry Month. Intrigued by the line lifting remix technique, I composed a poem based on one line of Kevin's poem. Following the lead of poet Amy Ludwig VanDerwater who created Wallow in Wonder for her 2016 National Poetry Month project to celebrate learning and writing from learning, I searched Wonderopolis for an article on positivity. I found Wonder of the Day #991, Do You Have a Positive Attitude? Below is a blackout poem that I created from the information in the article. 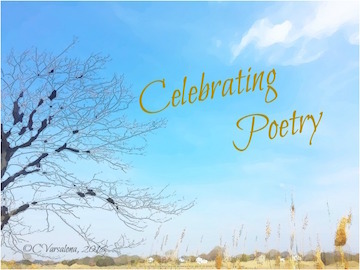 My fellow Wonderopolis Wonder Lead Ambassador, Paul W. Hankins, has also been writing poetry alongside Amy Ludwig VanDerwater, based on Wonders of the Day. His series can be accessed here. To reach out and connect with #EduFriends and connected colleagues across the globe, NYEDChat will open its doors on May 2, 2016 for a chat on positivity that will surely be a meeting of the minds. 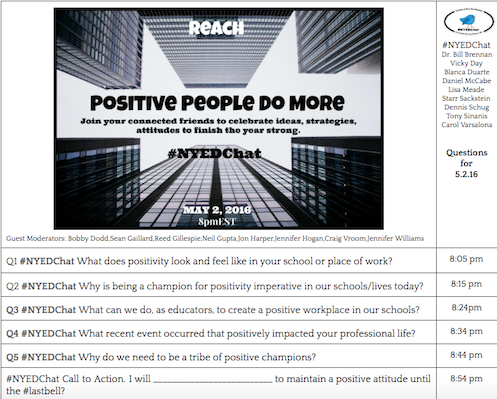 Join the NYEDChat Moderating Team(Bill Brennan, Victoria Day, Blanca Duarte, Dan McCabe, Lisa Meade, Starr Sackstein, Dennis Schug, Tony Sinanis, Carol Varsalona) and our Positivity Champions (Bobby Dodd, Sean Gaillard, Reed Gillespie, Phil Griffin, Neil Gupta, Jon Harper, Jennifer Hogan, Eoin Lenihan, Craig Vroom, Jennifer Williams) for an epic conversation. You may enjoy listening to Luke Britnell's catchy tune, Think Positive. 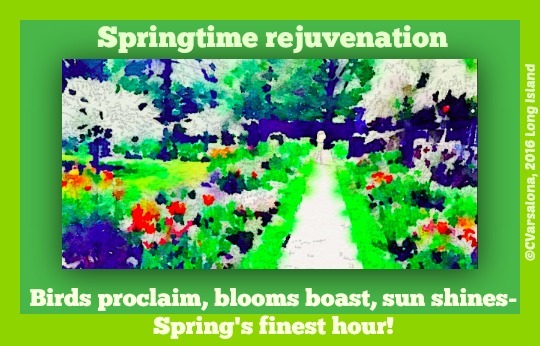 Three loves, teaching, writing, and baking, will provide the stimuli for me to create as the spring morning opens the sky with sunshine. When gray turns to golden yellow, creativity sparks. Recently, Rich Czyz, moderator of Four O'Clock Faculty, tweeted out two questions for educators to ponder. Intrigued, I responded. 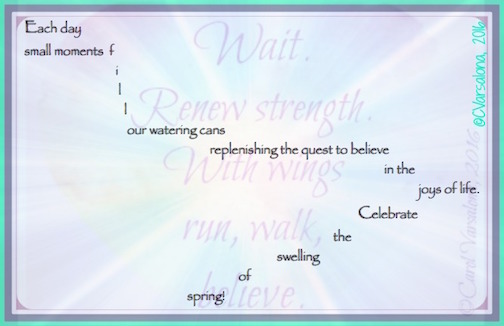 Since it is National Poetry Month and I have been trying to write alongside friends, I used poetic forms to compose my answers. If you were responsible for building the perfect teacher, what skills, attributes, or characteristics would you include? Along with teaching and writing, I am passionate about baking. While growing up, I learned the art of baking from two master teachers, my grandmother and mother. With enthusiasm and focus for what they loved, these two mentors provided me with recipes to entice family and friends. What follows is a first attempt at penning a recipe for a delicious teacher. promoted by a skillful mentor marketeer. 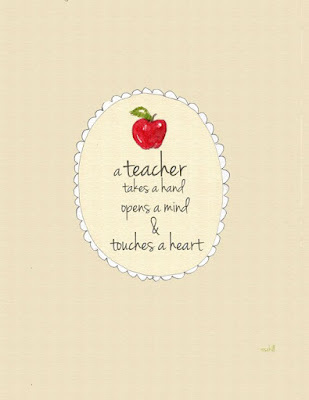 Think of the great teachers that you have come in contact with. 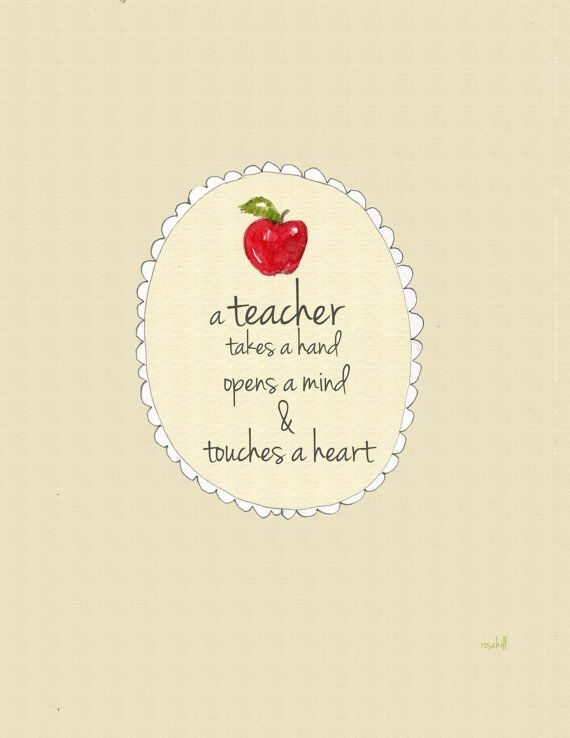 What words would you use to describe these great teachers? Now off to start my day. Baking and working on my presentations will follow. Below is an invitation to connected colleagues to chat on a topic that should entice many to participate. The post can be accessed here. Today is Slice of Life Tuesday. Please visit Two Writing Teachers where the blogging community dishes out delicious small moments each week. When Margaret Simon tweeted that the focus of DigiLit Sunday would be on form, my mind started wondering. Where would I go with that word? Then, I joined my yoga class and in the quiet started thinking about form, a physical sensation of where I place my body in relation to the mat. Each time the teacher called for another pose in the flow sequence, the word form kept popping up. I would check my position while listening to the instructions. My yoga teacher modeled, prompted, and even positioned us as she traveled around the room. She was the guide, the facilitator. Her words, "No stress," were reminders to try our best and not worry because yoga is about our practice, not perfection. The final statement refocused my thoughts. "Have faith. Believe in yourself. Find the possibilities." As I left the studio, I realized that the yoga class can be compared to the writing class. We ask students to try out different forms for first attempts, with a risk-taking, non-stress attitude. The teacher as the facilitator models, guides, circulates, and encourages each learner just like my yoga instructor did. Writing is about practice, risk-taking, and the ability to try a form or improve on it. It is about listening to the teacher, stretching oneself, and feeling proud of what is accomplished. 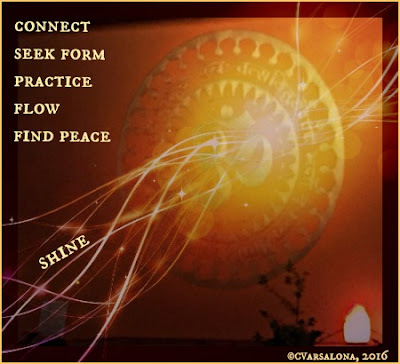 Carrying the wisdom of the yoga studio home with me, I played with form as I composed. Initial formatting steps lead to other models. Once there was a comfort level attained, it was fun to try out something different with a no stress policy. You can see the different formats that I worked with last week here. 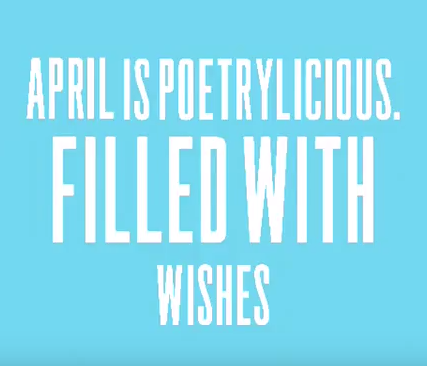 Here's to another week of creating a #poemaday for National Poetry Week! Please visit Margaret Simon at DigiLit Sunday to read more about form. The skyscrapers of New York City remind us to reach. Like those skyscrapers, connected colleagues' voices can rise high. Joined together we can envision new vistas, see new possibilities, and celebrate positivity. 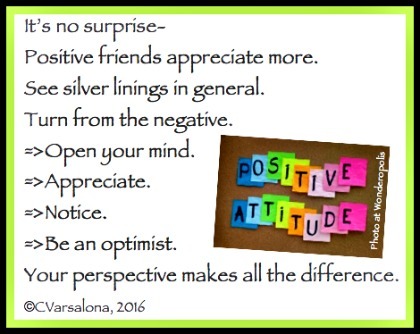 Each Monday on Twitter, #CelebrateMonday asks us to showcase the positives. To open dialogue on positivity, Dan McCabe and I will lead the #NYEDChat moderators in a conversation with our connected "edufriends" on Monday, May 2, 2016 at 8 pm EST. 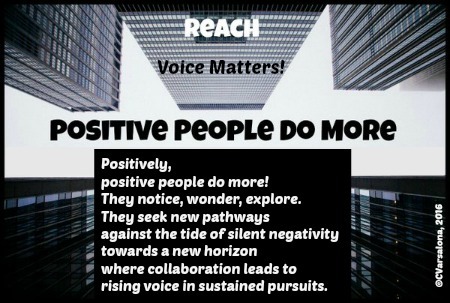 While the above connected educators are Positivity Champions, I recognize that there are so many more I come in contact with on social media who have a growth mindset. 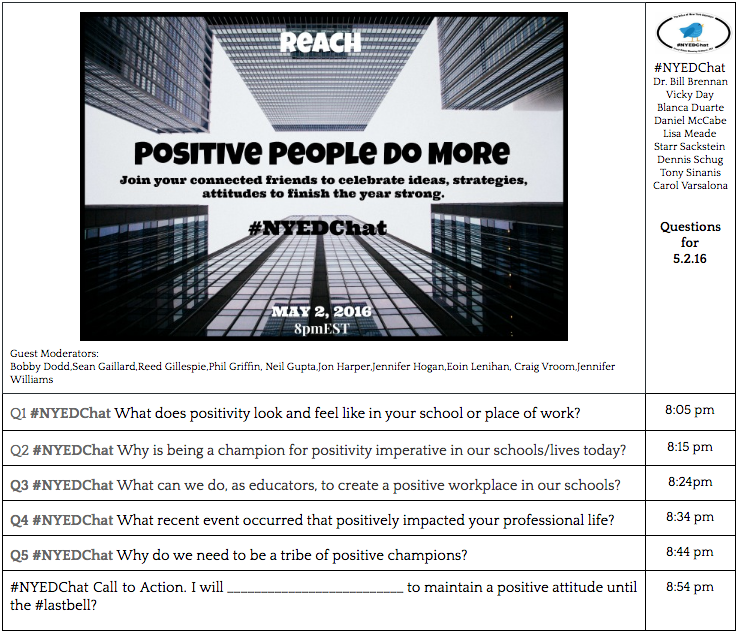 On behalf of the NYEDChat team I send out this invitation to join the conversation, Positive People Do More, to all who champion the "positives" across the globe. NYEDChat, as the voice of New York State educators, reaches beyond our state boundaries to connect with others on timely topics in education. Please join me at #NYEDChat on #CelebrateMonday May 2, 2016 for an epic conversation. The question document below is ready for your perusal. Ready to rock the Twittersphere as we discuss how to end the year with a strong finish, right up to the #lastbell, as Jennifer Hogan says. Don't forget to #CelebrateMonday today. What might you do differently to create a positive environment that celebrates the journey toward success? This week, poetic thoughts were spinning and dancing in my head as I observed nature and wrote. Everywhere I went it seemed as if poetry was in motion. At the end of this weekend, I celebrate the warmth of spring days, the beauty of the earth, and the joy of writing poetry. Silence G R O W S.
they form - are written. weary from a winter sleep. Looking down from the universe. 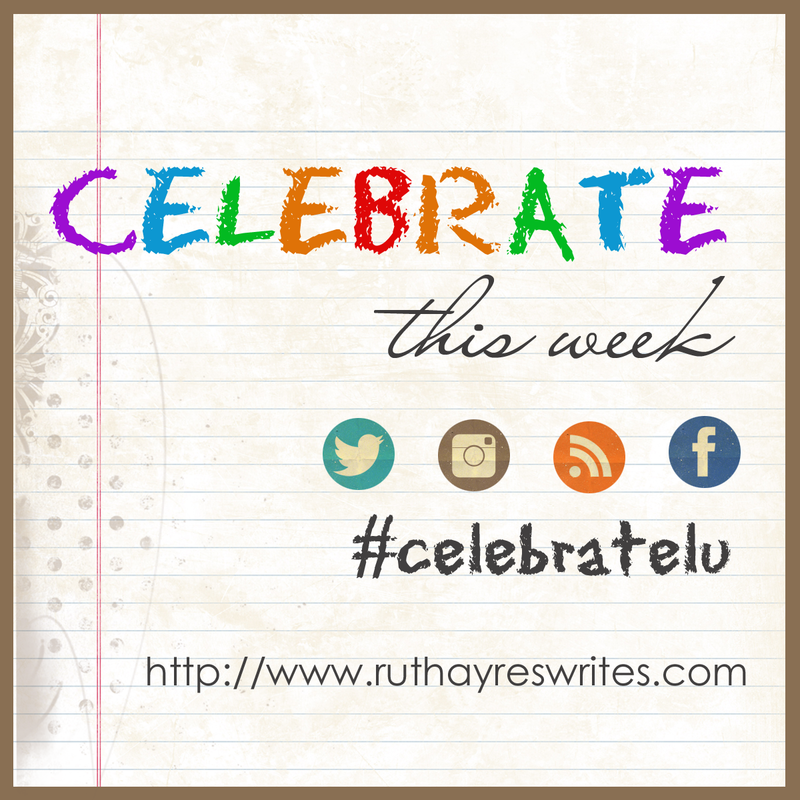 Each week Ruth Ayres opens her site, Celebrate This Week, for writers to celebrate alongside her. 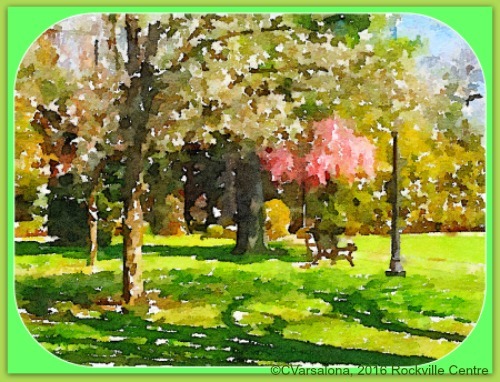 I enjoy sharing and reading what the other bloggers enjoyed during their week. This was another week to celebrate life! You can visit Ruth's site here.